This week we’ve a mixture, sadly nothing new but I am using the blooms grown purposefully for vases. Perhaps I ought to have a wider variety of each to spice things up a little so I don’t sound quite so much like a broken record? 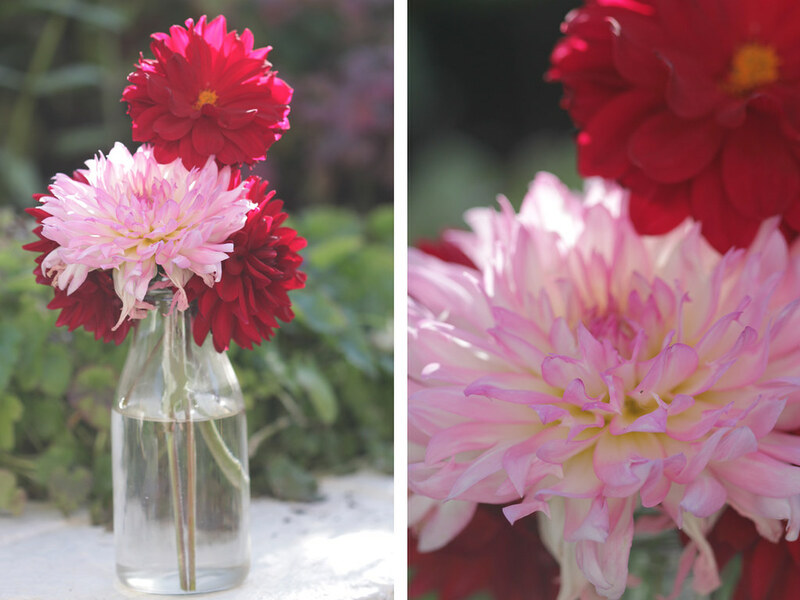 Anyway, so we have more Dahlias and Sweet peas this week. I had intended to use the Crocosmia before they finish but it’s now pouring with rain and I’m thinking I’ve probably missed my chance. 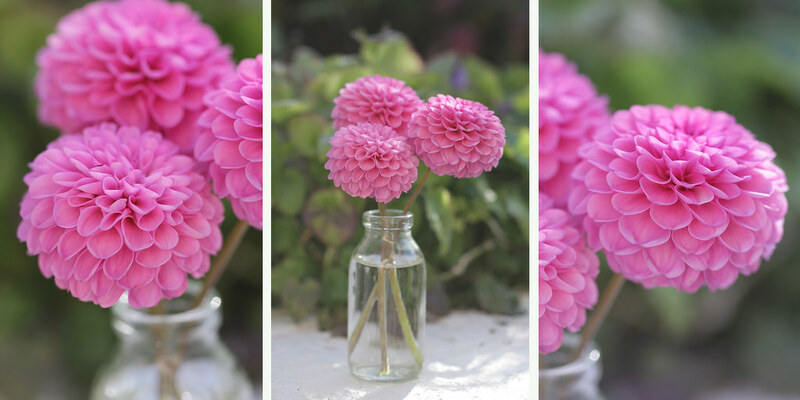 It’s a shame that as the Dahlia blooms begin to age, the first petals to open become rather ugly. Yet I don’t want to cut them when they first open because I like to enjoy them outside first. 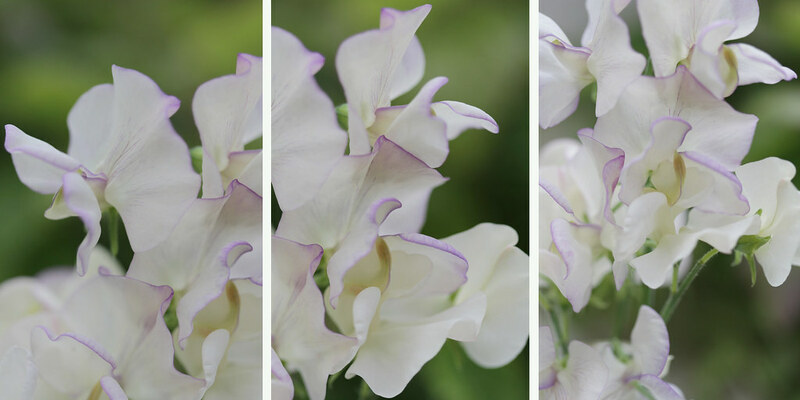 This year I went for quite plain sweet peas, at the time I was just sowing them because I missed their scent, and wish I’d sown a variety for more colour interest. Of course they’re beautiful in their own way, just you have to really get close to appreciate their subtle colours and really their biggest punch is their scent. 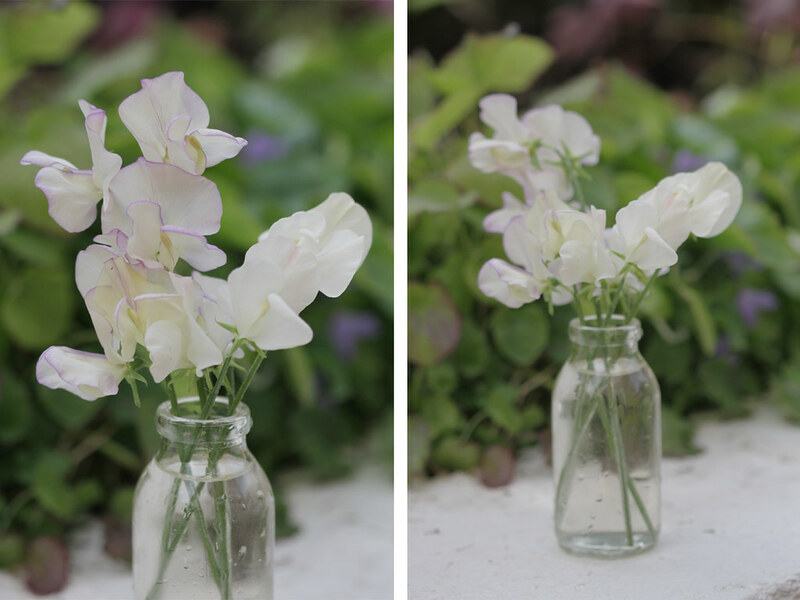 Liz I adore your beautiful simple vases…those sweet peas are a delight as are the dahlias…both have not bloomed for me so I am thrilled to see yours! It is rainy, drizzly, and overcast here today, so you can image what a treat for the eyes your photos are on a day like today.